Jerusalem is at the core of the eternal plan of God and the key to the future of mankind, but no one seems to care. We can’t afford to ignore this special city. We must watch Jerusalem. “Howbeit I will not rend away all the kingdom; but will give one tribe to thy son for David my servant’s sake, and for Jerusalem’s sake which I have chosen” (1 Kings 11:13). God has chosen Jerusalem! This city bears significance unlike any other. “If I forget thee, O Jerusalem, let my right hand forget her cunning. If I do not remember thee, let my tongue cleave to the roof of my mouth; if I prefer not Jerusalem above my chief joy,” wrote King David (Psalm 137:5-6). King David was a man after God’s own heart. He will rule over the 12 tribes of Israel in the world to come. This important man was passionate about Jerusalem, just like God is today. 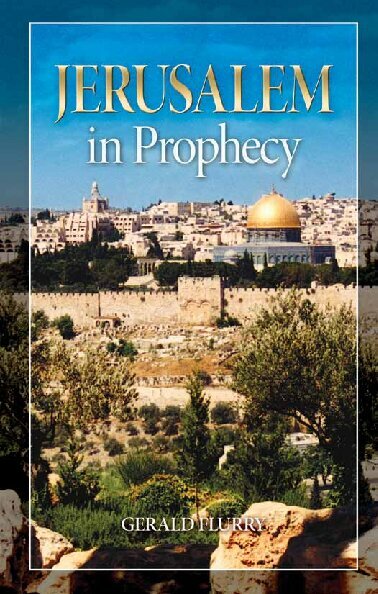 To understand prophecy and to become perfect like God, we need the same passion for Jerusalem that David had. For thousands of years, horrifically brutal wars have been fought for control of Jerusalem. Jerusalem may be God’s chosen city, but it is presently the bloodiest city on Earth. The Jewish people face a gloomy and threatening reality on a daily basis. Knife assaults, suicide bombings and rocket attacks are commonplace. The Bible says life in Jerusalem is about to get a lot worse before it gets better. In March of last year, Israeli Prime Minister Benjamin Netanyahu spoke out against the Iran nuclear deal before the United States Congress. “In this deadly game of thrones, there’s no place for America or for Israel; no peace for Christians, Jews or Muslims who don’t share the Islamist medieval creed; no rights for women; no freedom for anyone,” he said. At the time of Netanyahu’s speech, America hadn’t yet finalized the deal that is guaranteed to lead to the premier state sponsor of terrorism obtaining the nuclear bomb. Iran repeatedly clamors for the destruction of Israel, but America treats its aggression like a game. Jerusalem will be the primary victim of the worst foreign-policy blunder in American history. “And there shall be a time of trouble, such as never was since there was a nation even to that same time …” (Daniel 12:1). At what time in human history has mankind been in a more precarious position? Only recently have scientists created weapons that can destroy the entire Earth many times over. The number-one problem facing this world today is human survival! Before this age of man finally ends, Jerusalem will be at the center of the calamitous events that precede the coming of the Messiah. “Behold, the day of the Lord cometh, and thy spoil shall be divided in the midst of thee. For I will gather all nations against Jerusalem to battle; and the city shall be taken, and the houses rifled, and the women ravished; and half of the city shall go forth into captivity, and the residue of the people shall not be cut off from the city” (Zechariah 14:1-2). Half of Jerusalem will soon fall! Think about the intractable problem in this city. The Arabs already inhabit the eastern half. Your Bible says it is only a matter of time before they forcibly seize control! Another foreign power will see the chaos in Jerusalem and come to the rescue. After conquering radical Islam led by Iran, a European army led by Germany will surround Jerusalem. “For, lo, I will call all the families of the kingdoms of the north, saith the Lord; and they shall come, and they shall set every one his throne at the entering of the gates of Jerusalem, and against all the walls thereof round about, and against all the cities of Judah” (Jeremiah 1:15). Jerusalem compassed with armies: This is the biggest sign God gives us that it’s time to flee—or be destroyed! “And behold joy and gladness, slaying oxen, and killing sheep, eating flesh, and drinking wine: let us eat and drink; for tomorrow we shall die” (Isaiah 22:13). The human condition is so easily fixated on the pleasures of the present. Watch Jerusalem and watch yourself. Make sure you don’t let down; time is too short. There are many more details about the shocking chain of events that lead to the coming of the Messiah, but the main takeaway is that Jerusalem is at the heart of it all. It is comforting to know when the Messiah will come, but this is only a less important physical reason to watch Jerusalem. “Cry yet, saying, Thus saith the Lord of hosts; My cities through prosperity shall yet be spread abroad; and the Lord shall yet comfort Zion, and shall yet choose Jerusalem” (Zechariah 1:17). Jerusalem will soon become the headquarters of the universe! God will dwell there for all eternity. “And many people shall go and say, Come ye, and let us go up to the mountain of the Lord, to the house of the God of Jacob; and he will teach us of his ways, and we will walk in his paths: for out of Zion shall go forth the law, and the word of the Lord from Jerusalem” (Isaiah 2:3). The Word of God will go forth from Jerusalem and cover the Earth. All people will learn God’s way and live according to His law. “Rejoice ye with Jerusalem, and be glad with her, all ye that love her: rejoice for joy with her, all ye that mourn for her … As one whom his mother comforteth, so will I comfort you; and ye shall be comforted in Jerusalem” (Isaiah 66:10, 13). No city has suffered more than Jerusalem. No city will rejoice more than Jerusalem! God will stop all the violence and misery. He will heal all scars and wipe away all tears. What a contrast to the unfathomable bloodshed just ahead! (Joel 3:2, Zechariah 14:12). God has chosen Jerusalem. To become perfect like Him, we must make it a priority to do the same.